The Committee on Ways and Means is the chief tax-writing committee of the United States House of Representatives. 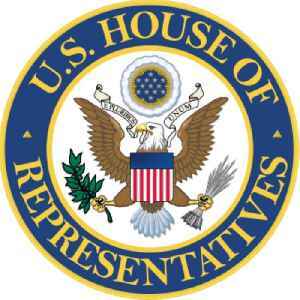 Members of the Ways and Means Committee are not allowed to serve on any other House Committee unless they are granted a waiver from their party's congressional leadership. The Committee has jurisdiction over all taxation, tariffs, and other revenue-raising measures, as well as a number of other programs including Social Security, unemployment benefits, Medicare, the enforcement of child support laws, Temporary Assistance for Needy Families and foster care and adoption programs. 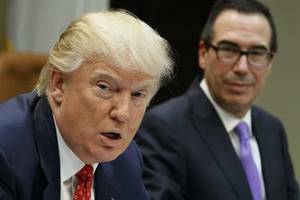 Treasury Secretary Steven Mnuchin said the Internal Revenue Service would reach a decision on how to handle the House Ways and Means Committee Chairman's request for President Donald Trump's tax..
U.S. President Donald Trump is unlikely hand over his tax returns to lawmakers despite a final deadline from the Democratic chairman of the House Ways and Means Committee, a White House spokesman said..
On Tuesday the deadline for the IRS to turn President Donald Trump’s tax returns over to a congressional tax oversight committee expired without lawmakers receiving the documents. 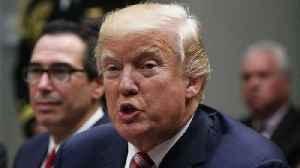 Reuters reports..
A White House spokesman said on Tuesday that President Trump is unlikely hand over his tax returns to lawmakers despite a final deadline from the Democratic chairman of the House Ways and Means..
Rep. Richard Neal sent a letter to the IRS Commissioner for the President's tax on Saturday. 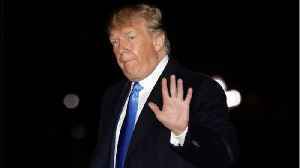 According to Reuters, the Democratic chairman of the U.S. House Ways and Means Committee set a new deadline for the IRS to comply with his request for six years of President Donald Trump’s personal.. 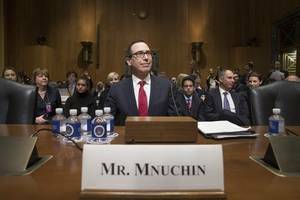 In a letter, Treasury Secretary Steven Mnuchin said the department could not complete the committee's request to hand over Trump's tax returns. 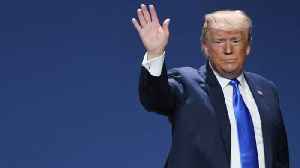 The Democratic chairman of the House Ways and Means Committee is demanding the IRS release President Trump's tax returns. 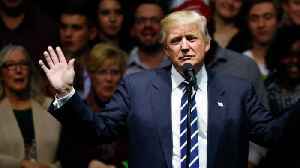 President Donald Trump has infamously refused to release his tax returns, and there are a number of groups trying to force him to. 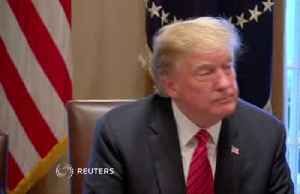 Washington (CNN)Congressional Democrats will "never" obtain President Donald Trump's tax returns, acting White House chief of staff Mick Mulvaney said Sunday. "Nor should they (obtain the documents)".. 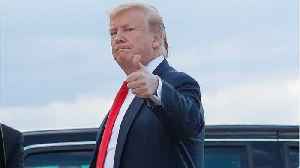 The House Ways and Means Committee has asked the Internal Revenue Service for six years of President Donald Trump’s personal and business tax returns. 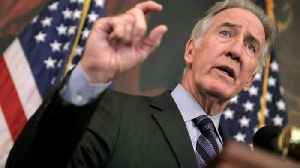 Democratic Committee Chairman Richard Neal made..
House Ways and Means Committee Chairman Richard Neal told reporters on Thursday that he was 'not surprised' at President Trump's claim that his taxes are being audited and cannot therefore be released..
House Democrats want to see six years worth of Donald Trump’s tax returns. 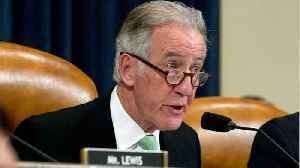 House Ways and Means Committee Chairman Richard Neal made the move official. 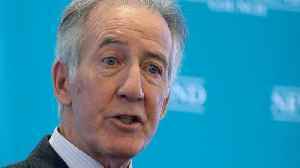 According to CNN, confronting Trump will..
​Committee Chairman Richard Neal used a little known loophole in IRS tax code to request the last 6 years of President Donald Trump's tax returns. 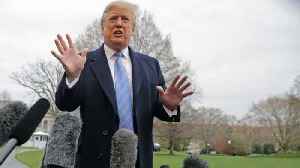 President Donald Trump said on Wednesday he was 'not inclined' to release his tax returns because they were under audit by the IRS. 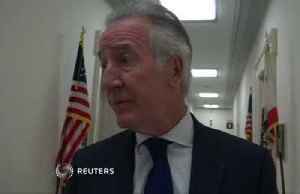 U.S. House Ways and Means Committee Chairman Richard Neal has asked..
On Tuesday the top Democrat on tax policy in the U.S. House of Representatives said that he is determined to seek President Donald Trump’s tax returns, despite the political victory handed to Trump.. 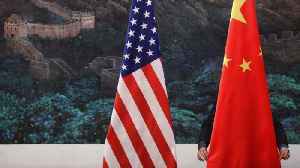 The Trump administration's top trade negotiator told a House panel Wednesday that there are still more trade discussions to be had. 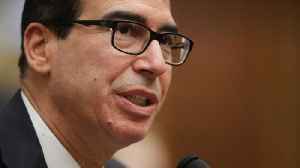 United States Treasury Secretary Steven Mnuchin said he would follow the law on Monday regarding multiple requests from Congress for President Donald Trump's tax returns, according to Reuters. 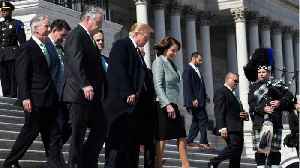 But..
Rep. Richard Neal, chairman of the House Ways and Means Committee, gave the IRS a new deadline of April 23 to produce Trump tax documents or face a subpoena.